Marc's research generally encompasses the macroevolution of amphibians and reptiles but focuses on specific topics such as feeding, function, biogeography, morphological variation, and systematics. This work has involved a number of techniques (e.g., geometric morphometrics, Multi-body Dynamics Analysis, Finite Element Analysis, cladistics) and a range of taxonomic groups (e.g., frogs, salamanders, lizards, tuatara, turtles). 2016 Creativity and Innovation Award, University of Adelaide. 2016 Nominated for School Teaching Award.2017. Lanzendorf Prize National Geographic Digital Modeling and Animation Award. Marc has teaching experience in a variety of science subjects related to evolution, zoology, palaeontology, anatomy, and general biology. 2016-: Ray Chatterji "The evolution and function of turtle skull shape". 2016-: Jessie-Briar Treloar, "Recent faunal change in southern Australia with an emphasis on Dasyuridae and implications for climate"
2015-: Jaimi A. Gray, "Evolution of skull and tooth variation amongst agamid lizards"
2013-2017: Jeff Modlin, "Skull shape and sexual dimorphism amongst lizards in Crotaphytidae". Cal Poly Pomona. 2017: Bernardo José O’Connor Espinoza. "Shape variation in populations of the antisymmetric, and sexually selected claws of Dulichiella australis (Crustacea: Amphipoda)." Co-supervised with Pablo Mungia (RMIT) with help from Em Sherratt (Uni Adelaide). 2017: Domenic Capone. "A morphological approach in Australian agamid evolution: assessing fossil calibration points" Co-supervised with Mark Hutchinson (South Australia Museum). (Testudinata: Chelonoidea)". Co-supervised with Mark Hutchinson (South Australia Museum). 2015: Thomas Nelson, "Allometry in Kangaroos". Co supervised with Roger Seymour and Edward Snelling (University of Adelaide). 2014: Jaimi A. Gray, "Agamid lizard skeleton identification and inferences for Pleistocene distributions". Co-supervised with Mark Hutchinson (South Australia Museum). 2014: Contributed to workshops for the MSc course unit "Communicating Science" (SCIENCE 7020). 2010-2013: Associate Trainer for Think Write. Delivered graduate training workshops for University College London, University of Bath, and University of Reading (all UK). Also delivered a workshop on “conference poster production” in Munich (Germany) as part of the Amgen Scholars Program hosted by Ludwig-Maximilians-Universität München, LMU (University of Munich) in partnership with the University of Cambridge and the Karolinska Institut, Stockholm (undergraduates and masters students). 2017-2016: Evolutionary Biology III stream in "Research Methods in Evolutionary Biology III (ENV BIOL 3530)". 2017-2016: Evolution of Australian Biota III (ENVBIOL 3550) University of Adelaide. 50 students. Contribution: I was a key member of the team which developed, delivered, and assessed the second half of this course which focuses on evolution of the Australian vertebrate biota as the continent underwent significant environmental change. I delivered two assessed lab classes, two lectures, a tutorial, and supervision for six project students. Assessment: 2500 word extended research essay and written exam. 2014-2015: Evolution and Palaeobiology of Animals III (ENVBIOL 3122) University of Adelaide. 50 students. Contribution: I contributed four lectures and two assessed practical classes on biogeography, vertebrate evolution, and functional anatomy, extended essay and exam questions. Assessment: Extended essay, lab report, and written exam. 2013: Issues in Evolutionary Biology III (ENVBIOL 3123) University of Adelaide. 12 students. Contribution: A lecture and tutorial on “Skull shape and biomechanics” and supervised 3 project students. Assessment: Short tutorial report and a 5000 word project report. 2017-2016: Assisted with Zoology II practical classes. 2015-2014: Contributes a lecture and tutorial to "Integrative and Comparative Neuroanatomy III" (ANAT_SC_3103). 2003-2012: At UCL, University College London, UK, he contributed lectures to "Vertebrate Life and Evolution" (BIOL3018), "Vertebrate Palaeontology and Evolution" (GEOL2008), "Biodiversity and Macroevolutionary Patterns" (GEOL3036), and "Introduction to Human Anatomy" (ANAT 1003). He also provided dissection room demonstrations for "Introduction to Human Anatomy" (ANAT 1003) and "Human Anatomy and Embryology" (ANAT2050). 2005-2006: As a teaching assistant facilitated lab based pracical classis in general biology topics (e.g. enzyme activity, gas exchange, plant structure, urine analysis) for School of Continuing Education Science and Mathematics, Birkbeck College, University of London (mature students studying for an A-level standard diploma)for the Faculty of Continuing Education, Birkbeck College, University of London, UK. 2007: As a teaching administrator Marc administered course units for the MSc in Health Policy, Planning and Financing at London School of Hygiene and Topical Medicine, UK. Marc's University of Adelaide Student Experience of Learning & Teaching (eSELT) mean individual teacher score (based on 51 responses from six courses since 2014) is 6.33 out of 7 which is considerably better than the University, Faculty, and School averages: 6.11, 6.09, and 6.03 respectively. 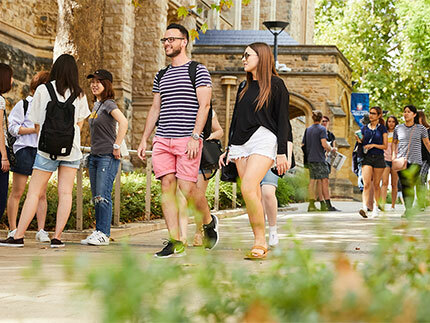 Of the 111 lecturers from University of Adelaide listed on RatemyTeachers.com, Marc is one of the highest ranked with an overall score of 5.0 out of 5.0 from 13 reviews. Website average score = 4.38. 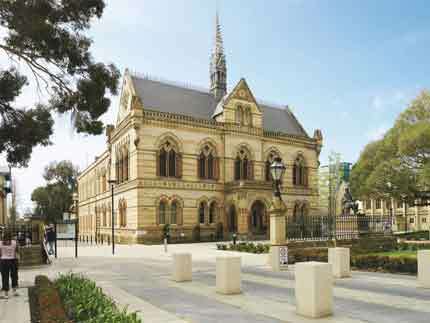 University of Adelaide average = 4.06. I completed the MSc course unit ‘University Teaching for Effective Student Learning’ (3420 EDUC 5401) taught by Dr Cally Guerin (University of Adelaide). Equivalent to 25% of the Graduate Certificate in Higher Education. Since 2002 Marc has provided teaching (e.g. lectures, workshops, practical classes, dissection room demonstration) for the following course coordinators: Adrian Lister, Helen Chatterjee, Paul Upchurch, Susan Evans, Pete Moore, Andy Austin, Mike Lee, Natalie Williamson, Lyndsey Collins-Praino, Simon Tierney, Jeremy Austin, John Conran, Sean Connell. The relationship between skull form and function in reptiles (particularly with respect to agamid lizards or Sphenodon and its fossil relatives). The radiation and biogeographic history of small vertebrates such as frogs and lizards (particularly with respect to southern continents). Ontogenetic and geographic variation in phenotype (performance and morphological traits). A word cloud mainly based on texts from recent abstracts. Overall Marc has acquired a total of AUD 838,495 worth of external funding. 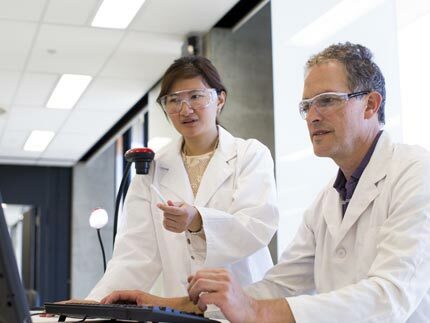 This includes an Australian Research Council on a Discovery Early Career Research Award DE130101567 and Australian Research Council Linakege Grant LP160100189. He is also part of a group building an award winning sea-snake robot that includes Amy Watson, Kate Sanders, Brett Goodman, Frank Neumann, Gustavo Carneiro, and Lei Chen funded AUD30,000 by the Interdisciplinary Research Fund (University of Adelaide). See: Bio-inspired Sea Snake Robot on YouTube. Previously Marc has been funded by two postdoctoral grants from the Biotechnology and Biological Sciences Research Council awarded to Professor Susan E. Evans (UCL, University College London, UK). He has also successfully obtained over AUD56,000 (>£30,000) in small grants from a variety of funding bodies including the Palaeontological Association, British Council, UCL Graduate School, UCL Bogue, Amphibia Tree, Synthesys, Environment Institute, and the Nuffield Foundation.. According to Google Scholar I have an all time h-index of 20 and i-10 index of 32. Evans SE, Wang Y, Jones MEH. 2007. An aggregation of lizard skeletons from the Lower Cretaceous of China. Senkenbergiana lethaea 87: 109–118. Kieser JA, He L-H, Dean MC, Jones MEH, Duncan WJ, Swain MV, Nelson NJ. 2011. Structure and compositional characteristics of caniniform dental enamel in the tuatara Sphenodon punctatus (Lepidosauria: Rhynchocephalia). New Zealand Dental Journal 107: 44–50. Curtis N, Jones MEH, Evans SE, O'Higgins P, Fagan MJ. 2013. Cranial sutures work collectively to distribute strain throughout the reptile skull. Journal of Royal Society Interface 10 20130442: DOI:10.1098/rsif.2013.0442 please also see DOI: 10.1098/​rsif.2013.0584. Integration of molecules and new fossils supports a Triassic origin for Lepidosauria (lizards, snakes, and tuatara)' will be published in BMC Evolutionary Biology on 25 September 2013. Jenkins KM, Jones MEH, Zikmund T, Boyde A, Daza JD. 2017. A Review of Tooth Implantation Among Rhynchocephalians (Lepidosauria). Journal of Herpetology, 51, 3, 300–306. Gray J, McDowell M, Hutchinson MN, Jones MEH. 2017. Geometric morphometrics provides an alternative approach for interpreting the affinity of fossil lizard jaws. Journal of Herpetology, 51, 3, 375–382. Jones MEH. 2006. Tooth diversity and function in the Rhynchocephalia (Diapsida: Lepidosauria). In Barrett PM, Evans SE, eds. Ninth International symposium on Mesozoic terrestrial ecosystems and biota. London, UK: Natural History Museum. 55–58. Evans SE, Barrett PM, Hilton J, Butler R, Jones MEH, Liang MM, Parish J, Rayfield EJ, Sigogneau-Russell D and Underwood C. 2006. The Middle Jurrasic vertebrate assemblage of Skye, Scotland. In Barrett PM, Evans SE, eds. Ninth international symposium on Mesozoic terrestrial ecosystems and biota. London, UK: Natural History Museum. 36–39. Jones MEH, Evans SE. 2009. The Early Cretaceous Herpetofauna of Anoual Morocco. In Buscalioni ÁD, Martínez MF, eds. Abstracts of the 10th international meeting of Mesozoic Terrestrial Ecosystems and Biota, Teruel. Spain, Madrid: UA Ediciones. 113–115. Evans S, Martín González E, Jones MEH, Sanchez Pinto L, García Talavera F. 2011. Identification of a new fossil snake from the Canary Islands using micro-CT techniques. XXVII Jornadas de la Sociedad Española de Paleontología, Sabadell (Spain). Jones MEH. 2005. Tuatara (Sphenodon punctatus). Chester zoo web page (http://www.chesterzoo.org/AnimalsandPlants/Reptiles/Tuatara.aspx). Jones MEH. 2005. Erecting a database of known UK Sphenodon (Tuatara) material. Natural Sciences Collections Associations Newsletter 5: 34. Jones MEH, Schoch R, Evans SE. 2010. The origin and early history of Lepidosauromorpha (Diapsida). Zitteliana 29: 55. Curtis N, Jones MEH, Evans SE, O’Higgins, Fagan MJ. 2010. The role and function for cranial sutures in reptiles: a finite element analysis of the skull of Sphenodon (Diapsida: Lepidosauria: Rhynchocephalia). Journal of Vertebrate Paleontology, SVP Program and Abstracts Book 2010: 77. Humphries ED, Jones MEH. 2010. Geographic variation in the jaws of Holocene Sphenodon (Lepidosauria: Rhynchocephalia) demonstrated by landmark analysis. Journal of Vertebrate Paleontology, SVP Program and Abstracts Book 2010: 108. Jones MEH, Curtis N, Evans SE, O’Higgins, Fagan MJ. 2010. Cranial joints in Sphenodon (Rhynchocephalia) and its fossil relatives with implications for lepidosaur skull mechanics. Journal of Vertebrate Paleontology, SVP Program and Abstracts Book 2010: 113. Lappin AK, Jones MEH. 2011. Empirical standardization of bite-force performance. Society for Integrative Biology 2011 Annual Meeting Abstracts. Jones MEH, Zikmund T. 2012. A functional interpretation of the cranial suture morphology in Captorhinus aguiti (Reptilia). Journal of Vertebrate Paleontology, SVP Program and Abstracts Book 2010: 118. Jones MEH, Benson RBJ. 2013. A new approach for understanding the diversity of tooth attachment in tetrapods. Journal of Vertebrate Paleontology, SVP Program and Abstracts Book 2013: 150. Jones MEH, Bever G, Foster J, Evans SE, Sertich J, Carrano M. 2014. A new look at rhynchocephalians from the Jurassic Morrison Formation. In Kirkland J, Foster J, Hunt-Foster R, Liggett GA, and Trujillo. Mid-Meszoic, the age of dinosaurs in transition. 61. Regnault S, Jones MEH, Hutchinson JR. 2014. Evolution and morphology of the patellar sesamoid in lepidosaurian reptiles (Squamata and Rhynchocephalia). Journal of Vertebrate Paleontology, SVP Program and Abstracts Book 2014: 213. Gröning F, Jones MEH, Curtis N, O'Higgins P, Evans SE, Fagan MJ. 2014. Cranial kinesis and its effect on feeding performance in lizards. Journal of Anatomy 226: 196. Jones MEH, Humphries, E. D., Worthy, T. H., Sherratt, E. 2015. Geometric morphometric analysis Of Holocene dentaries from New Zealand referred to sphenodon sp., and dentary shape variation amongst Rhynchocephalia (Reptilia: Lepidosauria). Journal of Vertebrate Paleontology, SVP Program and Abstracts Book 2015: 152. The Society of Vertebrate Paleontology serves to advance the science of vertebrate palaeontology and to this end it has held an annual meeting every year since its founding in 1940. Membership includes ~2300 professionals, students, artists, preparators, and avocationalists. Marc has had a long association with the Colbert student poster prize panel which serves to recognize an outstanding student poster presentation at the annual meeting. In October 2002 Marc formed a committee of 8 students from 4 different universities and established the society LERN to facilitate greater interaction between students based in London who's research involved some aspect of evolution. During Marc's time as chairman he obtained funding from a variety of sources, built up a mailing list, contributed to the initial website, and helped organise over 20 talks from senior academics (e.g. Richard Fortey, Leslie Aiello, Andy Purvis, Janet Brown, Richard Nicholls, Adrian Lister, and Simon Conway Morris), 12 talks from PhD students, 2 student conferences and 2 fieldtrips. After several successful committee handovers the society remains active with a continually expanding membership, and growing international reputation. In 2012 Marc was an invited plenary speaker at LERN's 10th student conference. 2004-2005 Committee Member (UCL representative). A free, volunteer-run website designed to help you track academic genealogy and record biographical information. Following consultation with various colleagues (e.g. Angela Milner, Andrew Milner, and Susan Evans) Marc has added 94 people and 95 connections. Of 1197 contributers 94 is the is the second greatest number of people added (correct in May 2015). I have reviewed articles for a number of internationally important journals and multi authored volumes, e.g. Royal Society Interface, Biology Letters, Scientific Reports, Journal of Anatomy, Anatomical Record, Journal of Morphology, Evolution and Development, PLoS ONE, Zoological Journal of the Linnean Society, Journal of Zoology, Karger Press, Marine Biology, Iranian Journal of Herpetology, Gondwanan Research, Palaeontologia Electronica, Proceedings of the Geologists' Association, Alcheringa, Zoo Taxa, Cretaceous Research, Palaeontology, Journal of Vertebrate Paleontology, and Journal of Systematic Palaeontology. 2007 The tuatara of New Zealand. Nature Live, Natural History Museum, UK. 2008 The New Zealand tuatara and its' fossil relatives. Institute of Animal Technology, London, UK. 2009 A new view of Rhynchocephalia: why Sphenodon is not a living fossil. Evolution 150, Cuenca, Spain. 2009 The New Zealand tuatara and its fossil relatives. Darwin Now, Science and Technology Museum, Xi'an, China. 2009 Fossil frogs from China and abroad. Darwin Now, Science and Technology Museum, Xi'an, China. 2009 Life after a PhD. Cumberland Lodge, Windsor, UK. 2009 New perspectives on the New Zealand tuatara (Sphenodon): feeding and evolution. Palaeobiology Discussion Group, University of Bristol, UK. 2010 The New Zealand tuatara, its fossil relatives and the real Welsh Dragon. Geologists Association South Wales Group and Geology Society, University of Swansea, UK. 2010 Life after a PhD. Cumberland Lodge, Windsor. UK. 2010 Modeling muscle structure and activity in vertebrate skulls: implications for the analysis of extinct taxa. International Congress of Palaeontology 3, Imperial College, London, UK. 2010 The origin and early history of Lepidosauromorpha (Diapsida). Paläontologische Gesellschaft 2010, LMU, Münuch, Germany. 2011 (Feb) The tuatara of New Zealand. Nature Live, Natural History Museum, UK. 2011 (May) The tuatara of New Zealand. Nature Live, Natural History Museum, UK. 2012 A new approach to understanding the diversity of tooth attachment in tetrapods. London Oral Biology Club, Royal London Hospital, UK. 2012 Oral food processing in the tuatara reptile and why chewing is worthwhile. Palaeobiology Discussion Group, University of Bristol, UK. 2012 Why the fossil record is crucial for understanding the evolutionary context of the New Zealand tuatara (Lepidosauria: Rhynchocephalia: Sphenodon). World Congress of Herpetology 7, Part of the symposium 'Insights from the fossil record into the evolution of extant amphibians and reptiles'. University of British Columbia, Vancouver, Canada. 2012 Early history of the London Evolutionary Research Network. LERN, UCL, University College London, UK. 2012 Why fossils are important for understanding the evolutionary context of the New Zealand tuatara. LERN, UCL, University College London, UK. 2013 (March) The tuatara of New Zealand. Nature Live, Natural History Museum, UK. 2014 Chewing over skull mechanics in an unusual reptile from New Zealand, EEG seminar, ANU, Australian National University, Canberra, Australia. 2014 Chewing over skull mechanics in an unusual reptile from New Zealand, Institute for Applied Ecology talks, University of Canberra, Australia. 2014 How hard do lizards and tuatara bite? why does it matter? and how is it measured? South Australian Herpetology Group. 2008 (Apr) CEE: Skull shape and feeding in Sphenodon and other Rhynchocephalia (Reptilia: Lepidosauria. Centre for Ecology and Evolution workshop: Modern approaches in functional anatomy. NHM, London. 2008 (May) PalHerp: Skull shape and feeding apparatus in Sphenodon and other Rhynchocephalia (Reptilia: Lepidosauria). Annual meeting of Paläontologie und Herpetologie, Berlin, Germany. 2008 (Aug) ISDM: Correspondence between tooth morphology and skull shape in Rhynchocephalia (Diapsida: Lepidosauria). 14th International Symposium of Dental Morphology, Greifswald, Germany. 2009 (Sep) MTE: The Early Cretaceous Herpetofauna of Anoual Morocco. 10th Mesozoic Terrestrial Ecosystems and Biota, Teruel, Spain. 2010 (Jul) QuaVer: Geographic variation in jaw shape of the New Zealand tuatara (Sphenodon) as shown by landmark analysis. Quaternary Vertebrate Research Group annual meeting, NHM, London. 2010 (Sep) SVPCA: Cranial bone deformantion in Sphenodon. 58th Symposium of Vertebrate Palaeontology and Comparative Anatomy, Cambridge, UK. 2010 (Oct) SVP: Cranial joints in Sphenodon (Rhynchocephalia) and its fossil relatives with implications for lepidosaur skull mechanics. 70th Annual Meeting of the Society of Vertebrate Paleontology, Pittsburgh, USA. 2011 (Aug) ISDM: The classification of tooth attachment in tetrapods. 15th International Symposium of Dental Morphology, Newcastle, UK. 2011 (Oct) SVPCA: Shearing in Sphenodon and related character acquisition in Mesozoic rhynchocephalians. 59th Symposium of Vertebrate Palaeontology and Comparative Anatomy, Lyme Regis, UK. 2011 (Oct) SVP: The first Middle Triassic lepidosaurs. 71st Annual Meeting of the Society of Vertebrate Paleontology, Las Vegas, USA. origin for Lepidosauria (lizards, snakes, and tuatara). Part of the symposium 'Phylogenetics: Bridging the Molecular–Morphological Divide'. 14th biennial Conference on Australasian Vertebrate Evolution, Palaeontology and Systematics. 2014 (Jan) ASH: Lepidosaur skull mechanics and the role of the chondrocraniumm. 50th meeting of the Australian Society of Herpetology, Grenhills (near Canberra), Australia. 2014 (Dec) ASHB: Computer based skull mechanics in reptiles with inclusion of “soft tissues”. 28th Australian Society for Human Biology, Adelaide, Australia. 2014 (Dec) IBW: Biteforce performance and model validation. The first meeting of the Interdisciplinary Biomechanics Workshop: Biting skulls, robot snakes, and electric muscles, Adelaide, Australia. 2014 (Dec) IBW: Skull mechanics: FEA, MDA, soft tissues. The first meeting of the Interdisciplinary Biomechanics Workshop: Biting skulls, robot snakes, and electric muscles, Adelaide, Australia. 2015 (Jan) ASH: Bite-force performance in the central bearded dragon (Pogona vitticeps). 51st meeting of the Australian Society of Herpetology, Eildon (near Melbourne), Australia. 2015 (Oct) SVP: Geometric morphometric analysis of holocene dentaries from New Zealand referred to Sphenodon sp., and dentary shape variation amongst Rhynchocephalia (Reptilia: Lepidosauria). 75th annual meeting of the Society of Vertebrate Paleontology, Dallas, Texas, USA. 2011 (Jul) CCS: Sutures and intracranial movements in Sphenodon (Lepidosauria: Rhynchocephalia). 5th international meeting on Cranio-Cervical Systems, Paris, France. 2011 (Aug) ISDM: Geographic variation in the jaws of Holocene Sphenodon (Lepidosauria: Rhynchocephalia). 14th International Symposium of Dental Morphology, Newcastle, UK. 2011 (Aug) ISDM: The mammal-like carnassial teeth of Clevosaurus and Tingitana (Reptilia: Diapsida). 14th International Symposium of Dental Morphology, Newcastle, UK. 2011 (Dec) AnatSoc: Sutures and intracranial movements in Sphenodon (Lepidosauria: Rhynchocephalia). Winter Meeting of the Anatomical Society, Cardiff, UK. 2012 (Oct) SVP: A functional interpretation of the cranial suture morphology in Captorhinus aguti (Reptilia). 72nd Annual Meeting of the Society of Vertebrate Paleontology, Raleigh, USA. 2013 (Oct) SVP: A new approach for understanding the diversity of tooth attachment in tetrpods. 73rd Meeting of the Society of Vertebrate Palaeontology, Los Angeles, USA. 2014 (May) Mid-Mesozoic Field Conference: A new look at rhynchocephalian reptiles from the Late Jurassic Morrison Formation, Fruita, Colorado, USA. 2015 “Interdisciplinary Biomechanics workshop: Biting skulls, robot snakes, & electric muscles" (University of Adelaide). Co-organised with Amy Watson, Kate Sanders, Brett Goodman, Frank Neumann, Gustavo Carneiro, and Lei Chen. Included 19 talks including keynotes from Professor Iain A. Anderson (The University of Auckland) and Professor Steve Wroe (University of New England). 2014 “The Shape of things to Come: Geometric Morphometrics in Vertebrate Paleontology” University of Adelaide). Involved 16 talks. Co-organised with Aki Watanabe and Em Sherratt. 2015 “Geomorph: R Package for the Collection and Analysis of Geometric Morphometric Data” at the 75th annual meeting of Vertebrate Paleontology, Dallas, Texas, USA. Co-organised with Aki Watanabe and Em Sherratt. 2015 “Shape Analysis Workshop" South Australian Museum, Adelaide, Australia. over 30 participants. 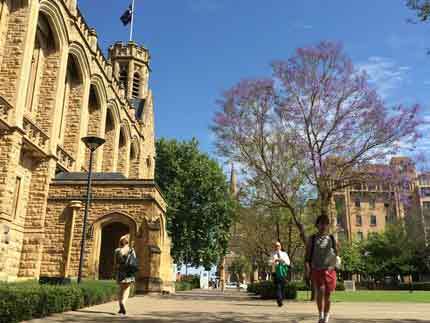 Supported by the Environment Institute, University of Adelaide. Guest instructor: Em Sherratt. 2010 ScienceDaily: What can a New Zealand reptile tell us about false teeth? 2010 Medical News Today: What can a New Zealand reptile tell us about false teeth? 2012 New Scientist: Zoologger: strange reptiles saw heads off seabirds. 2014 Daily Mail: Ten inch 'Devil frog' was more terrifying that first imagined! 1998 Dorset and Cornwall, UK. 1998 Yorkshire Coast, UK. Included Scarborough, Speeton Clay, Whitby, and Robin Hood’s Bay. 1999 Palaeozoic Welsh Basin: Ludlow, Meeting House Quarry, Clarach Cove, and Rheader Gorge. 2002 Palaeozoic fish localities in South East Australia (IPC), New South Wales, Australia. Included Grenfell, Canowindra, and Wee Jasper. 2003 Early Cretaceous Las Hoyas lagerstätte, near Cuenca, Castilla de Mancha, Spain (3 weeks). 2003 Isle of Wight, UK. LERN fieldtrip. Included the Yaverland, Hanover Point and Whitecliff. 2004 Yorkshire Coast, UK. LERN fieldtrip. 2004 Middle Jurassic Elgol microvertebrate site (Kilmaluag Formation), Isle of Skye, Scotland (3 weeks). 2005 Daohugou, Inner Mongolia, China. 2005 Late Triassic terrestrial localities of Arizona, USA. 2013 Kangaroo Island, Australia. Included Emu Bay and Kelly Hill Caves. 2014 Mid-Mesozoic Field Conference, Colorado & Utah, USA. Included Dinosaur National Monument, Fruita, and various other sites exposing the Morrison Formation and Cedar Mountain Formation. 2014 Magnetostatigraphy of the Morrison Formation, Denver. USA. Field assistant for Susannah Maidment (Imperial College, London). 2010 Ecomorphology of lacertid lizards. Namibia (3 weeks). 2013 Functional morphology of agamid lizards. Included Wichelina, Owen Springs, and Trephina Gorge. South Australia and Northern Territory, Australia (2 weeks). 2014 Mojave desert, California, USA. 2014 Functional morphology of agamid lizards. Hiltaba and Wichelina, Australia (2 weeks). 2014 Functional morphology of agamid lizards. Owen Springs, Alice Springs, MacDonnell Ranges, Australia (2 weeks). Marc Jones taking part in a Nature Live event at the Natural History Museum London UK hosted by Charlotte Coales (2013). Photo taken by Glenys Jones. Logo designed for the first Interdisciplinary Research Workshop, University of Adelaide, December 2014. Marc Jones at Science Showoff, December 2012 from Mally Sword on Vimeo. The Bio-Inspired Sea-snake robot constructed in 2014 as part an interdisciplinary research project involving Amy Watson, Kate Sanders, Brett Goodman (all School of Biological Sciences), Frank Neumann, Gustavo Carneiro (Both School of Computer Science), and Lei Chen (School of Mechanical Engineering). The skull of a tiger snake (Notechis scutatus) based on Computer Tomographic data (2015). Webpage designed and mantained (spare time permitting) by Marc Jones.